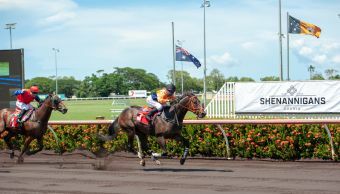 TAYARN HALTER won her third Shenannigans St Patrick’s Cup in the past seven years when Mazzaro swept home to deny last year’s winner The Wild Side in a pulsating finish to the 1600m feature. 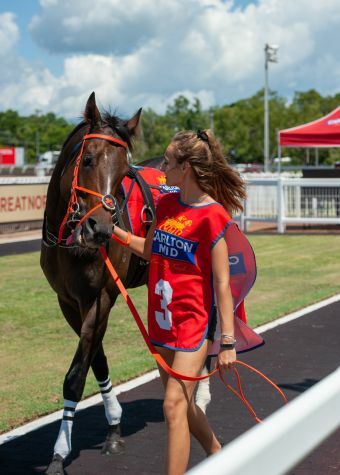 And now, safely through yesterday’s exertions, Red Centre racing folk will get a chance to see the Territory’s up-and-coming middle-distance star. 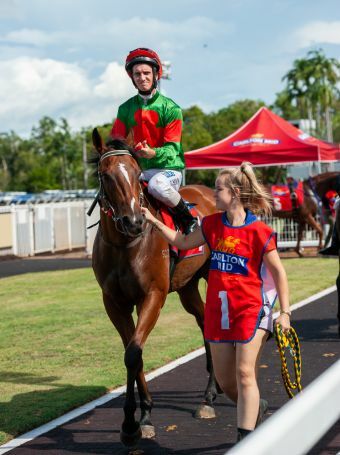 Regular rider Raymond Vigar, who won the Cup in 2017 on Halter’s Harrebs Time, produced a gem of a ride aboard Mazzaro. He allowed his mount to settle back beyond midfield as Makin’ The Grade took the field along at a decent clip. 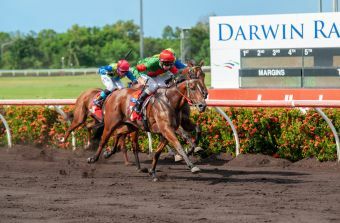 Just when it looked like The Wild Side would defend her title, Vigar got everything out of Mazzaro and at the line the margin was a half-neck to the good of the four-year-old son of Nicconi. Metallic Crown kept fighting to take third, a length and three-quarters back, with Commissar and Grand Teton next. 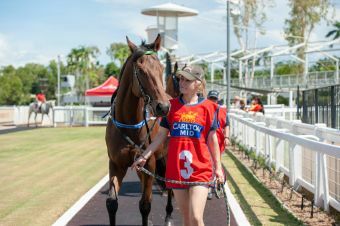 A delighted Halter said: “If he hadn’t gone any good today, he was going to the paddock, but now we’ll press on to Alice. 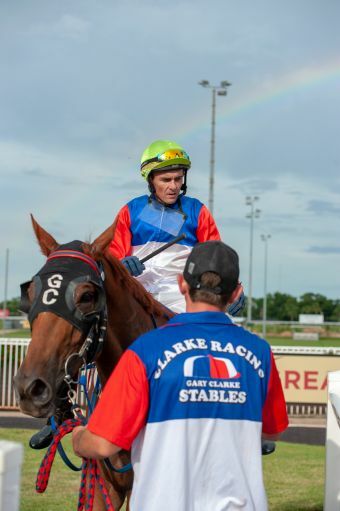 “He might not run a middle-distance, but he looks like he will, and we’ll test him in the 1900m race on Day 2 and all going well, he’ll run in the Alice Cup on the first Monday in May. 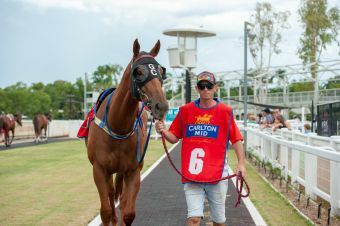 “I still think he’s a year away – he’s still learning and we’ve looked after him and now he’s looking after us,” she said. 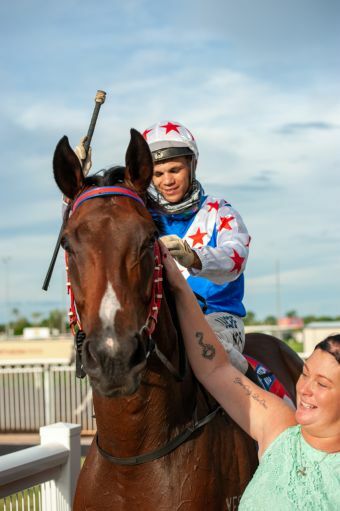 Mazzaro, owned by a syndicate including some long-time supporters of the Halter stable, has now won five of his 17 starts, and took his earnings to just over $81,000 with yesterday’s win. 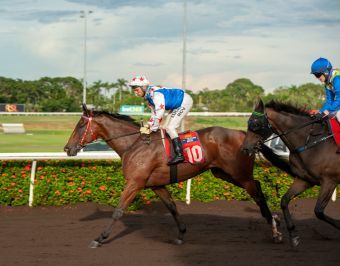 The Captain overshadowed his better performed stablemate Neat Feat with a facile win in the Shamrock N Roll Weight-For-Age. 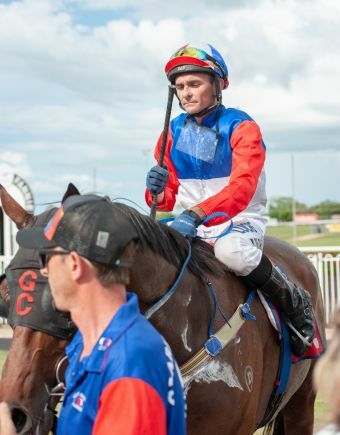 Brendon Davis, as he did in the previous race aboard Taciturn, went straight to the front from the outside barrier and never gave his rivals a chance. 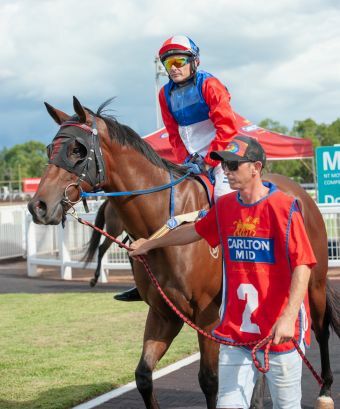 He had a good margin to spare rounding the home turn and if anything increased it in the run to the line, scoring by five and a-quarter lengths in the smart time of 1:08.27 for the 1200m. 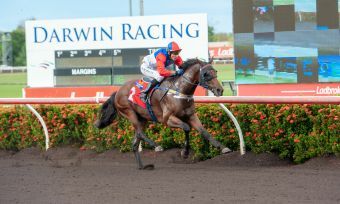 El Toranado went his usual honest race to finish second, with Harrebs Time an eye-catching third a length back. The disappointment of the race was favourite Neat Feat, who never looked a winning chance at any stage and finished last. 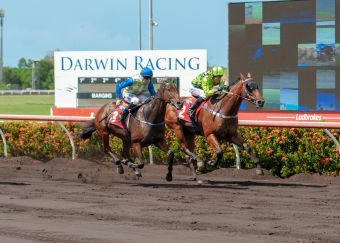 Compere, a $7,000 purchase by his trainer David Waters from the Magic Millions Darwin Turf Club Tried Horse Sale last August, finally broke through for his first win in the Pot of Gold Maiden. 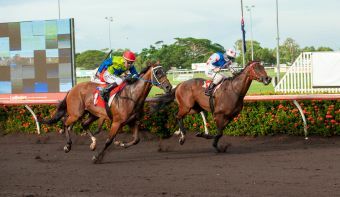 With Carl Spry in the saddle, Compere went forward three wide to challenge for the lead as the field turned off the back straight, and kept going gamely over the final stages to beat the Phil Cole-trained stablemates Livadas and Caitlyn’s Angel by three-quarters of a-length and more. 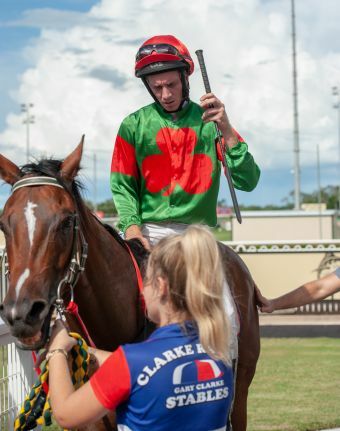 Waters was quick to deflect the praise for the win to Ella Clarke, daughter of trainer Gary, who has been assisting Waters with the training duties in recent weeks. 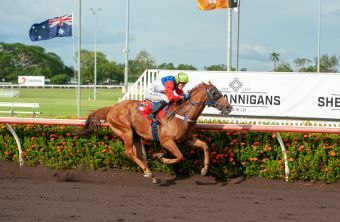 Ansinna repeated his good win on 6 March with an equally impressive effort to score in the Frisky No More Handicap. 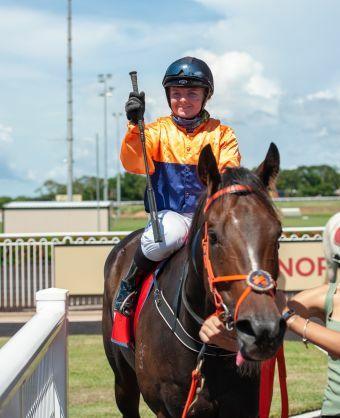 Trained by Carl Spry and with Kim Gladwin again in the saddle, Ansinna settled just ahead of midfield on the fence, and made his challenge along the inside as pacemaker Tregorik kicked clear early in the home straight. Such was Ansinna’s strong finish, he collared Tregorik close home and went on to score by a half-length, with Looking For You a brave third. Delta D’Or, trained by Pat Johnston, gave visiting Victorian apprentice Jessie Philpot her first winner in the Top End with victory in The Shaggeradoo Handicap, while Taciturn (Clarke/Davis) was an all-the-way winner in the Kiss Me I’m Irish Handicap, scoring by four lengths from the Spry stablemates Awesome Mo and Bon Aire.